The jacket cover page symbolically represents the unified bond between mother and daughter and the other panel portrays the mirror image of Mother presumably post-Alzheimer condition. Just below the panel of trees, Sarah’s image with serious preparation of notes and journals is brought out as in the opening page itself, Sarah has declared that she has bad memory. The writer has devoted the next page for stars and revolving nature of the world, indirectly communicating the philosophy of life-circle. In the Title page, the emotional bond between the mother and daughter is well conveyed, which is repeated in other pages also. A special mention of Publisher’s page is imminent as the writer has personalized the page with visual of socks, symbolically conveying the importance of objects in her narrative. Sarah has dedicated the work to her father Robert and sister Hannah. The next line about her companion Donimo brings an interesting element in her personal life and also her concept of sexuality and relationship, as Sarah has termed Donimo as the ‘dearest companion.’ The final and the most important acknowledgement goes to her Mother, whom Sarah misses forever. In the Introduction, Sarah frankly talks about her really bad memory which focuses on her honest reporting of events with the help of her notes, sketches and journals collected and preserved over a period of time wherein the entire narrative is centered around issues of memory. At the same time, Sarah cautions her readers that other people in her family may remember things diffently. 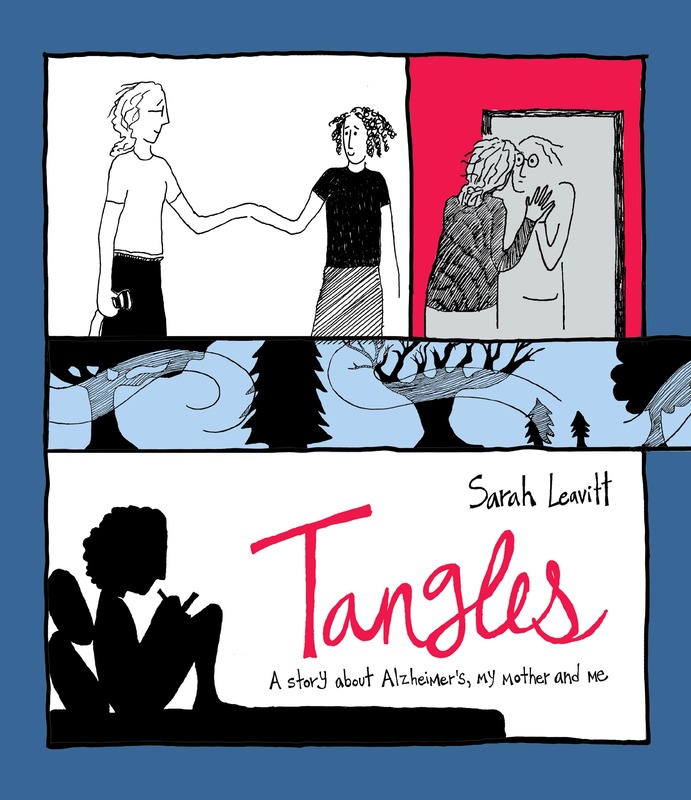 In so doing, she titles it as her story, the tangled story of her mother and Alzheimer. She has been making notes on scraps of paper right as things were happening, like at the dinner table when her mom started talking to broccoli. The following description brings the real concern of her mother towards the family. There is no mention of any pet animals in the introduction, however Sarah has chosen to allot spaces for family cats sometimes the entire page allotted for the image of kitty, the pet cat. Analyzing the camera angle in cat’s posture, the readers are reminded to understand the focus of Kitty is on the suffering of Mom and not on the readers, the ‘human mom’ in its own style. Entire narrative is arranged in episodically and not chronologically. ‘Nightmare’ is the first chapter giving clue to the reader that it is serious and rhetorical arrangement of characters with handwritten formats emphatically bringing the readers in close contact with the narrator. Mother taking care of her daughter is reversed as Daughter taking care of Mother (role reversal) in the second and third parts. The comic medium is exploited with the use of box of razor blades and postal letters, sharing of original handwritten poems, all to emphasize the truth and honesty in reporting of events. Men are in the margin in terms of panels dedicated clearly focusing the strength of female relationships. Multiple roles are shown performed by mother as an intellectual educator, counselor, stress reliever and loving wife. Secular and non-religious identity, counter cultural attitude, all have been synthesized to bring out the idea of care giving, using the metaphor of journey with spiritual involvement.